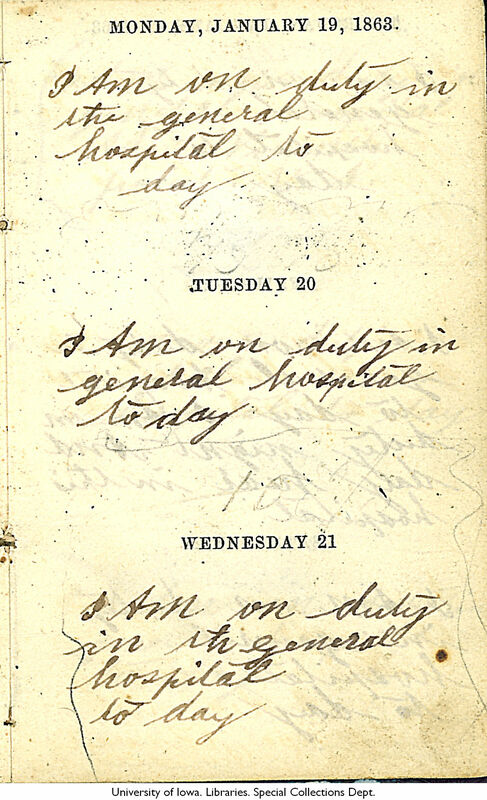 MONDAY, JANUARY 19, 1863. I Am on duty in the general hospital to day TUESDAY 20 I Am on duty in general hospital to day. WEDNESDAY 21 I Am on duty in th general hospital to day.